I’ve thrown plenty of turkey sandwiches into my panini press, but they usually aren’t as gussied up as Week 24, Meal 2: Roasted turkey with gruyere and cornichons. This sandwich plays with bold flavors as much as the prosciutto and fennel slaw sandwich before it did, but this meal is more diner than bistro. Start by dropping the thin-slice on 2 oz. 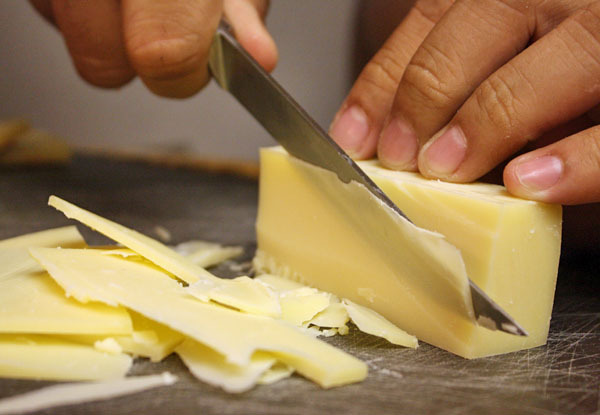 of gruyere cheese. 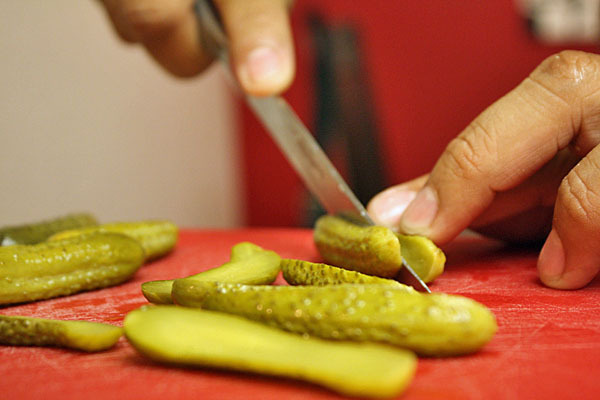 Slice 6-8 cornichon pickles in half lengthwise. Finish prep by cleaning and removing the stems from 1 bunch of watercress. Preheat your panini press. 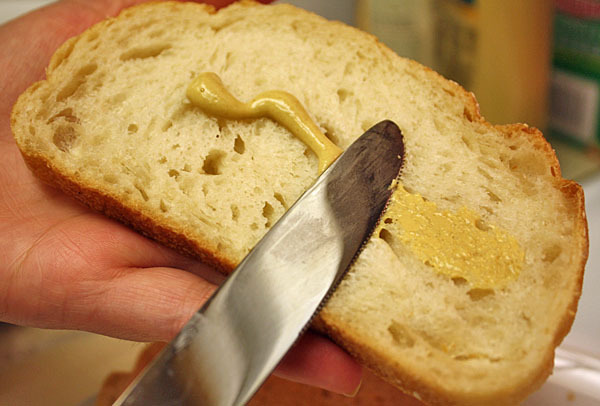 While it’s heating up, spread 4 slices of French bread with 2-3 T of Dijon mustard. 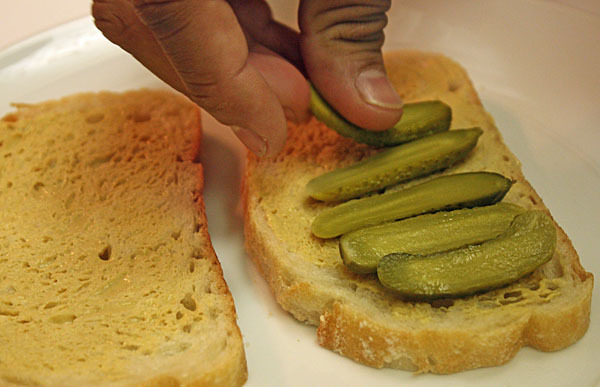 For each sandwich, layer the sliced pickles on one slice of bread. Cover the pickles with 4 oz. 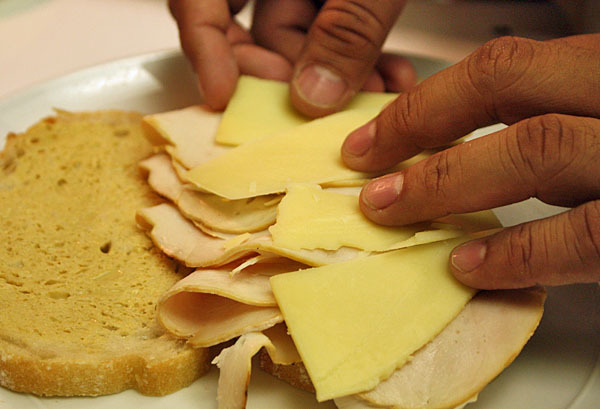 of turkey on each sandwich and half of the cheese. 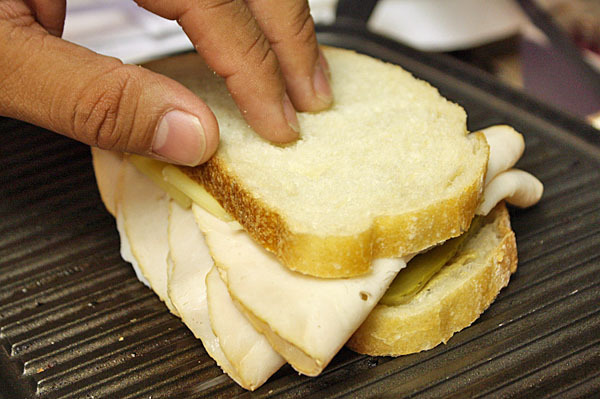 Press the sandwich until the cheese is melted and the sandwich is heated through. 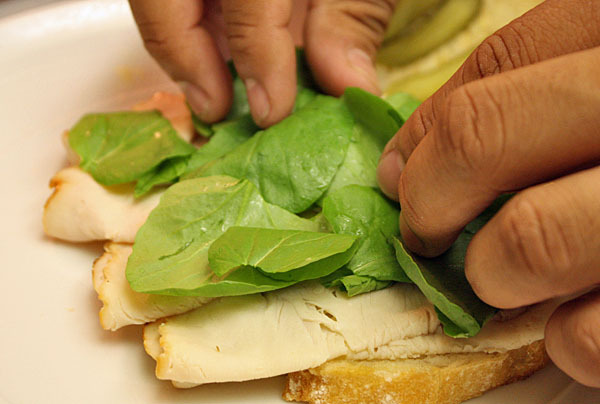 Finish by opening the sandwich back up and stuffing it with a nice handful of watercress. Close the sandwich back up and you’re done! 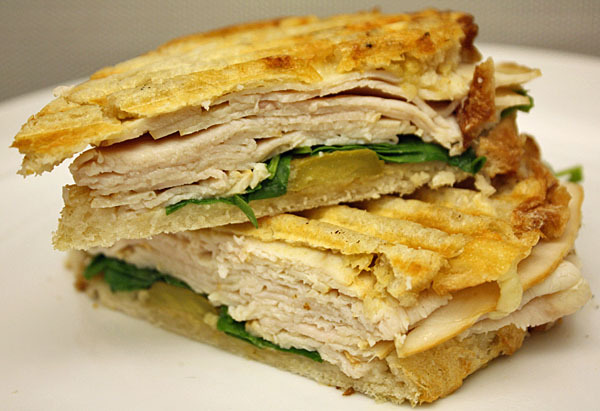 There’s a lot of turkey on this sandwich, so each crunchy bite is protein packed, but there’s a lot of flavor going on, too. The bittersweet watercress, the salty cheese and punchy Dijon. Quick, and delicious. Three cheers for that.